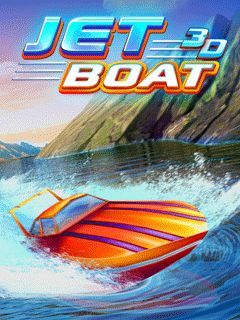 [Wyścigi] Jet boat 3D : Gry: 240x320 • Nokia Hacking :: Forum nie tylko dla ekspertów! Jet Boat 3D invites you to take part in adventurous survive journey through dangerous places of 3D planet. Deep valleys, deadly caves, fascinating bonuses. Experience and enjoy thrilling feelings of life in full. Survive as long as you can and set new records. You can compete with your friends in a global records table.